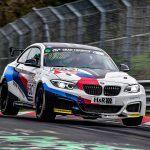 Ben Tuck kicked off his first experience of European racing this weekend, as he drove his Purple Dot Walkenhorst Racing BMW M240i to the finish at the legendary Nurburgring Nordschleife. Ben was the third of his 3 man crew to drive the car in the fog delayed race and showed good skill to make up places during the shortened 2hr 45min Race #1 of the highly respected VLN Endurance Championship in Germany. Ben’s move to VLN is part of a wider development programme, which sees him tackle European racing on the classic 15 mile long circuit, where he teams up with 2017 British GT4 champion, Will Tregurtha, and 1980’s German GT racer Jörg Brueur for the first 3 races of the VLN series. 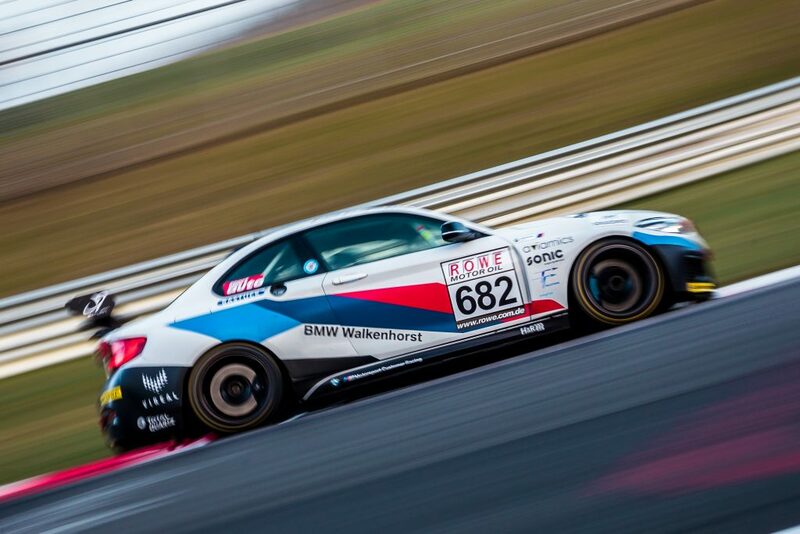 Ben will also then take to the track in the ADAC Nurburgring 6H Qualification race in May. 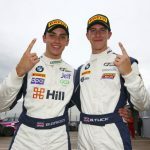 The trio will race with the hugely experienced and successful Walkenhorst Motorsport, who have a long and illustrious history with BMW across all the major worldwide GT championships, most recently winning the 2018 Spa 24 Hrs. The weekend met all of Ben’s objectives in terms of development. His qualifying pace was consistent and competitive, and the #682 car posted a combined qualifying position of 8th in class after a frantic fog delayed session featuring multiple incidents, and a huge accident in the foggy conditions. “Even with such a huge track there are 170 cars out there so it was just as hard to get a clear lap as on any other circuit!” said Ben. “But the car felt superb straight out of the pits and I soon got to grips with the bumps and jumps”. With a consistent and competitive performance in his debut, Ben hopes to continue to test his skills in the next 3 races. “I cannot wait to get back out to Germany now. The circuit demands such a lot from a driver to drive well; it’s the best way to progress”.